Ever the competitor, Dan Herby still likes to push himself to new heights. It was a reunion 30 years in the making. Back in the '80s, Dan Herby, John Witt and I were on the U.S. Freestyle Ski Team. Patrick Henry represented the Canadian Freestyle Team and later Canada as an Olympian. Patrick just missed out on an Olympic Medal with a fourth-place finish. Although we were competitors back then, we formed a great bond, but after our World Cup days, we all moved on to the next chapters of our lives. Staying in touch through Facebook, we decided the backcountry of Montana sounded like a perfect place for a reunion of sorts in 2017, skiing deep, blower powder with Great Northern Powder Guides. 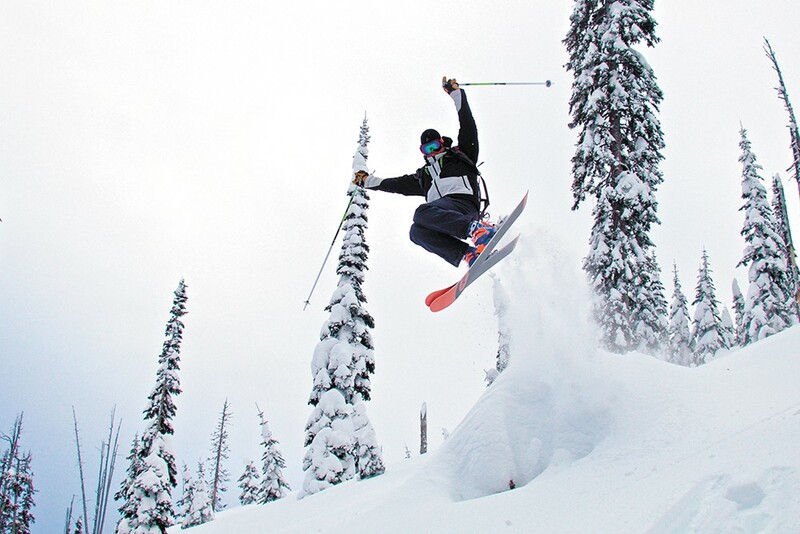 Located just north of Whitefish, Montana, in the Whitefish Mountain range sits the state's only snowcat skiing operation, Great Northern Powder Guides. Former professional speed skier Jay Sandelin — he once reached a speed of 142 mph on a pair of skis — owns and operates Great Northern Powder Guides (GNPG) with his wife, Ky.
John Witt: "Just staying in the yurt and skiing was just a dream of mine." GNPG can accommodate skiers and boarders on single-day excursions or overnight all-inclusive packages with first-rate accommodations at Dog Creek Lodge. 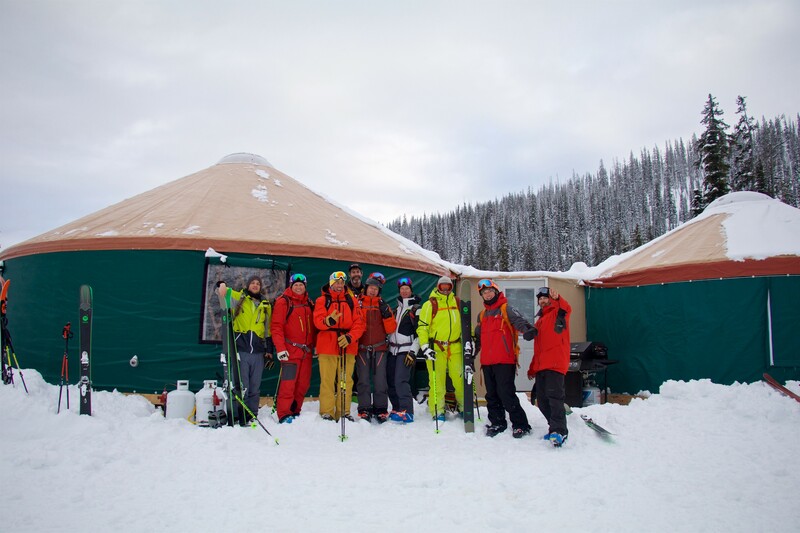 If you're looking for a more rustic authentic backcountry adventure, you can stay in the GNPG yurt setup, which is tucked away deep in the heart of their ski terrain. Always up for a unique experience — OK, I'll be truthful: We thought we'd be too loud for other guests — we chose the yurt for our trip, which did not disappoint. I can tell you firsthand there's no better feeling than watching a sunrise in the Montana backcountry as you scope lines for your day of skiing. This was glamping at its finest. "The yurts are great here," Herby says. "There's a 20-foot yurt and a 30-foot-diameter yurt. One is for sleeping. It's full of bunk beds. The other's for lounging around and a kitchen. There's no indoor plumbing, but they hold claim to fame to one of the finest outhouses known to man!" On our first day of skiing, we were treated with bluebird skies and some long runs of varying terrain from wide-open glades to steeps and trees that kept our adrenaline flowing. A typical day of riding with GNPG is 10,000-12,000 vert per day with short snowcat rides between runs back to the top. GNPG has access to over 20,000 acres of mouth-watering terrain that keeps you wanting to explore further and further. Their certified ski guides know the terrain inside and out, so be ready for a day of pure awesomeness. Herby, who still likes to push the envelope, had this to say: "Our guides were on point. They took us right to the goods. We had open glades and some steep, challenging terrain for everybody. They put you on what you could handle but kept you safe." Growing up in Calgary, Patrick has visited the northwest Montana area numerous times in his youth. "The first day was neat because it was sunny," Patrick says, "and some of the areas, I've known since I was a kid like Whitefish Lake and Flathead Lake. We could see all the way down to those lakes, but the mountains were spectacular everywhere we looked. It was just a great vista and it didn't disappoint." After a rewarding first day, we cracked open some cold ones and watched the sun cast its last rays on the snow-covered peaks across the valley. Pretty insane way to cap off an already memorable first day. Witt, being from New York, doesn't get many opportunities like this. "Just staying in the yurt and skiing was just a dream of mine," he says. "It was phenomenal." Day two was more of the same with a mix of sun and an occasional snow shower. With temps dropping and some scattered snow showers, we could sense the storm front moving in. In the afternoon, as the skies turned gray and dark, we stayed close to the trees for better visibility. After another epic day of untouched powder, we retreated back to the yurt where we enjoyed barbecued Montana elk steaks while we told old stories from back in the day and laughed a lot. I'm thinking the saying is true: The older I get, the better I was. It was about 8 pm that evening when the snow moved in, and it continued dumping throughout the night. The next day we woke to 8-10 inches of fresh at the yurt and temps in the low teens. 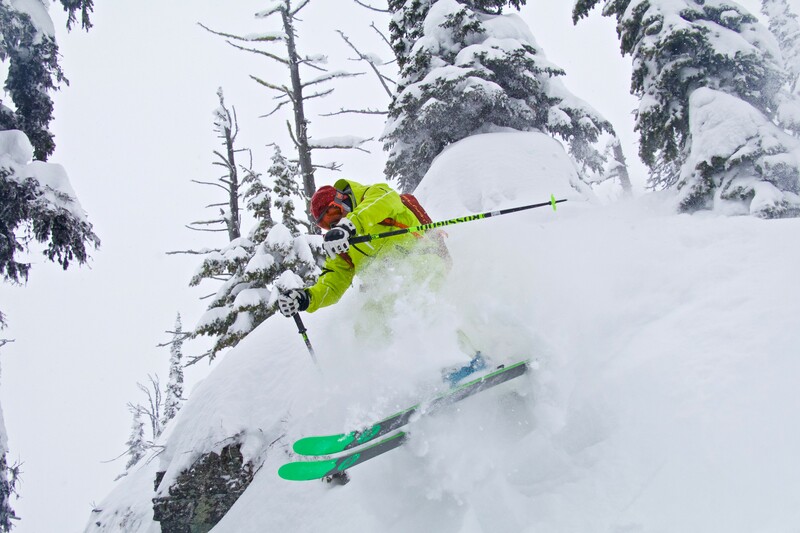 "The snow that came down the last night and that day was just blower, champagne powder," recalls Witt, who has become quite the powder aficionado the past few years. "The further we ventured up the hill in the [snow]cat the deeper it was," Henry says. "By the time we reached the summit, there were 18 inches of blower and it was awesome." "It was Montana cold smoke," he continues. "I've been coming to this part of Montana since I was a kid, but I've never cat-skied here and the experience was everything I thought it could be." Bob Legasa is an avid skier and for the past 30 years has worked as a producer, videographer and writer covering snowsports and the outdoors. Legasa, who first contributed to the Inlander in 1994, lives in North Idaho.